What May Your Earwax Disclose About You? What Can Your Earwax Explain About You? Does earwax say something about you and your health? It’s more than just the gross stuff that comes out of your ears. Earwax, or cerumen, has a purpose in the human body. It serves to protect the skin that lines the ear canal from infections. It also provides lubrication and makes that canal somewhat waterproof. That’s all very important, but there is more to your earwax than just what it can do. The way it looks, smell and feels are indicators of what’s going on with you. What is your earwax trying to tell you? Ninety-five percent of East Asians have the dry kind. Ninety-seven percent of people from Europe or Africa have the wet, sticky kind. The difference between these two groups boils down to one gene called ABCC11. It is the gene that manages the flow of earwax-altering molecules. At some point centuries ago, the gene changed in people in Europe and Africa as they adapted to a new surrounding. The researchers from this study hypothesized that insects lead to the mutation. The thick, wet earwax can trap insects and protect the deeper areas inside the ear canal and possibly even the brain. It is an example of the body’s natural ability to change based environmental stressors. It is a change designed to improve a species odds of survival. You have an ear infection. When you sweat, the water will mix with your earwax, changing the color and texture. When you have an ear infection, the earwax changes due to the body’s inflammatory response to invading organisms. Pus created by the response can mix with the earwax, and that may lead to the difference in color. Earwax with a bad smell means you need to pay attention. The change in odor typically indicates a rather serious infection. Anaerobic bacteria, in other words, bacteria that do not require oxygen to survive, tend to emit a foul odor that will make earwax stink. That bad smell can also mean there is an infection causing middle ear damage. You might feel like your balance is off and hear a ringing or other phantom noise in the affected ear. You need to make an appointment with your doctor. In 2009, a group of Japanese scientists also linked stinky earwax to a gene that might cause breast cancer. It will take more studies to prove this theory but, it’s worth talking to your doctor about if breast cancer runs in the family. To be honest, this isn’t really earwax, but it is understandable that you might think it is cerumen. 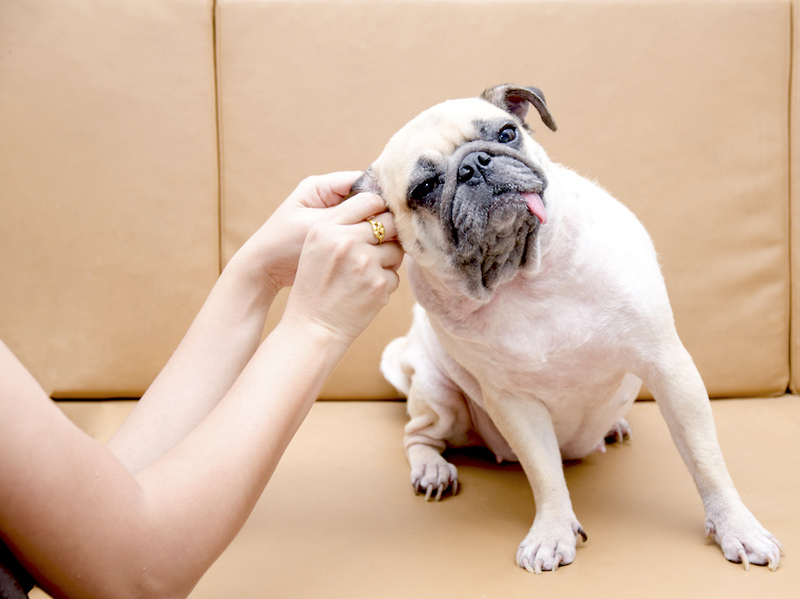 Wet ears typically mean disease, most likely infection. Ear infections create pus, so that might be why your ear feels wet. That is not the only possible cause, though. It is also possible that you have a type of skin growth inside your ear canal called a cholesteatoma. A cholesteatoma is a lot like a cyst, but one that appears inside the ear blocking the canal. When that happens, stuff like earwax and dirt build up. This blockage can cause debris to overflow and come out the ear. Any drainage from your ear means you need to see a doctor and find out why that is happening. Do not worry, flaky earwax isn’t a sign of infection. It is, however, something that happens as you grow older. When someone ages, their body gets a little dryer — including the glands that produce earwax. As a result, their ears get a little itchy. Adding a few drops of mineral oil to the ear canal can ease that discomfort and soften the earwax at the same time. What if your ears have no earwax at all? It’s rare, but it does happen. It is a condition called keratosis obturans, and it means there is a hard plug where the earwax comes out. It’s unclear why this happens, but researchers do know that the plug is made of keratin, a protein that exists in skin cells. You might feel pain in that ear and have trouble hearing. The treatment is simple, let a doctor pull the plug out. In some, the condition is chronic, and the patient requires regular medical care. Earwax, who knew it was so interesting. Why not take a look at yours to see it’s trying to say.. Call us today at 386-516-5781 or send in this form now.